We all know that coconut oil is a great alternative to butter and oil when we’re cooking. Whether you are sauteing veggies or making brownies, your food is guaranteed to turn out delicious. Did you know if you saute fish in coconut oil it gives the dish such a delicious flavor and keeps the fish moist and flaky?! 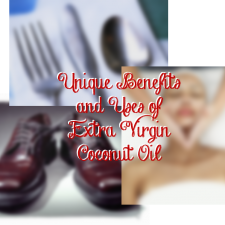 If you are new to our blog, you may not know that there are a ton of ways, literally over 365 ways, to use coconut oil in daily activities. It is sure to blow your mind because personally it did for me when I read all of the different ways I could use this “magical” oil. Don’t believe me yet? Keep reading to learn about some of the unique ways! Don't forget to let us know your favorite and unique ways to use coconut oil in the comments below! When I first began using coconut oil and writing these blogs I only knew about using it in the kitchen. As I learned and experimented more, I realized you can use it on your skin, you can clean with it and you can shine leather all with the same product. At first, honestly, I was a little skeptical it could REALLY do everything. But over time, the more I used the oil, I soon learned these remedies, so to speak actually, really do work! 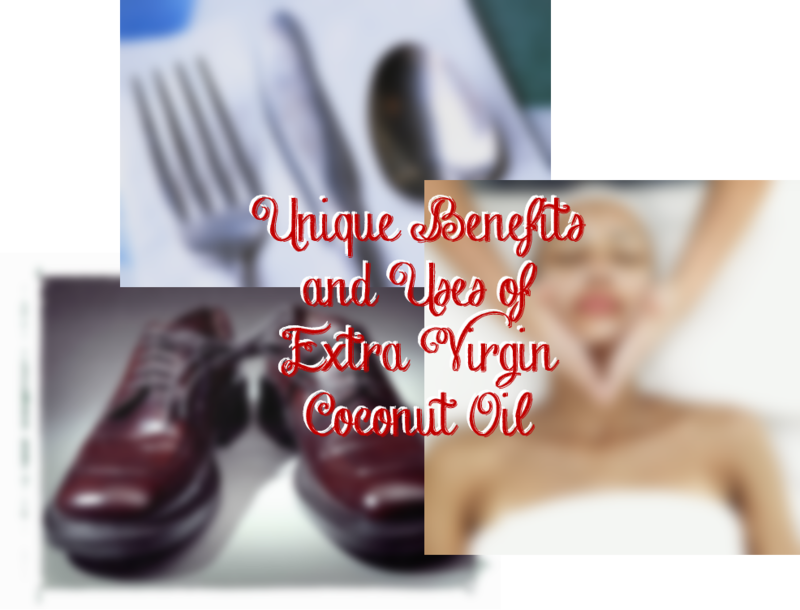 I’m going to provide you with my top 5 unique ways to use coconut oil so you can begin using it on a daily basis, too. Clear up Acne: Oil on your face? YES, using coconut oil that is. If you have specific problem areas, dab a small amount of oil -but do not rub in- and leave on to allow to soak into skin. Read about my specific DIY Acne Remedy and how I personally used it on my skin. Want to prevent acne, use coconut oil as a make up remover to lift dirt and free radicals your skin can pick up through out the day. Clean your Shower/Bathtub: Apply 1 tablespoon coconut oil to a damp washcloth and rub in a circular motion all around tub to evenly distribute oil. Rinse tub thoroughly with warm water. Try mixing baking soda and coconut oil together for added cleanliness. Because coconut oil is anti-microbial, it’s a great alternative to harsh chemicals while still getting the same results. And to a mom of a toddler, that’s music to my ears. Apply coconut oil to utensils before using: Apply a small amount of coconut oil to your knife or spoon before cutting cake, taking a scoop of mac and cheese or cutting lasagna. This will help keep clean up a breeze! No more hours of scrubbing. Now you can enjoy the party with the rest of your family and friends. Clean leather furniture or shoes: Rub a small amount of coconut oil on a cloth and polish your favorite leather shoes or shine your leather couch. Much like how coconut oil is a moisturizer for your skin, it give your leather the conditioning it needs to look its best. Stop creaky doors: Apply coconut oil to any creaky door hinges. Voila! No more creaks! Those are just a few of the “unknown” uses for coconut oil but feel free to browse around our blog to see many of the other ways you can use coconut oil – like our ways new moms and babies can benefit. What is your favorite or unique way to use coconut oil on a daily basis?